Legislator DuWayne Gregory was elected to office in a special election in July 2008, continuing his lifelong career of public service. DuWayne Gregory is a native of Long Island and is proud of his record of public service. He enlisted in the United States Army in 1993, and later applied and was accepted to attend Officer Candidate School (OCS). Legislator Gregory was commissioned as a 2nd Lieutenant in Field Artillery. After his years of service, DuWayne decided to end his service and received an Honorable Discharge. With a deep desire to continue serving the public, in 2000 DuWayne was hired to work for Supervisor Rich Schaffer as the Town of Babylon's Citizens' Advocate. After Supervisor Schaffer left office, DuWayne worked for Town of Babylon Supervisor Steve Bellone as the Deputy Commissioner of the Department of Public Works/Buildings and Grounds Division. In July 2002, DuWayne was appointed Commissioner of General Services. In 2004, DuWayne went on to work for the Suffolk Off-Track Betting Corporation, leaving in 2007 as the Associate Director for Corporate Services to work as the Chief of Staff to former County Legislator Elie Mystal. DuWayne is proud of his record of accomplishments. Due to his knowledge of procurement, DuWayne was appointed in 2005 to the Advisory Council on Procurement Lobbying. DuWayne is also a former member of the Route 110 Redevelopment Corporation. 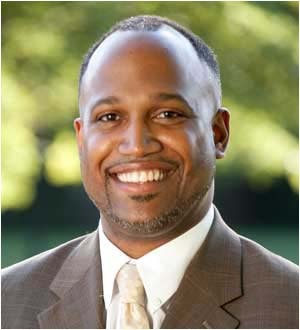 DuWayne received a Bachelor of Arts degree in Justice and Public Policy from North Carolina Wesleyan College. He is a proud father of two sons.